Exercise has many proven benefits, it helps you lose weight, rids your body of toxins and boosts your mood. But did you know that certain exercises can target specific health problems? This might be something that benefits you if you struggle with joint problems, obesity related conditions, and most other conditions that can be improved by fitness. If you feel like you have a condition that could benefit from exercise, then check with a healthcare professional first, as well as doing your own research. Some of the most common health conditions that benefit from exercise are included below. Weight training is an excellent way for men and women alike to shift those extra pounds while maintaining or building muscle mass. Research shows that weight training can help protect your joints if done correctly. The first step is to assess whether your condition will benefit from weight training, so make sure you visit a professional who can evaluate your particular case and recommend the best exercises for you. Medical professionals often recommend specific weight exercises to build up the muscle around a joint, which makes it less vulnerable and susceptible to injury. A sports injury therapist can take you through the specific exercises you may need for a condition you have. Be careful that you do not overwork your joints, however, particularly if you have undergone surgery as this can cause more harm than good. Most people suffer joint problems, particularly after they reach a certain age. There are ways to avoid one of the most common joint conditions, which is osteoarthritis. This is where the cartilage between two joints wears down and causes stiffness and swelling. Osteoarthritis affects almost everyone by the age of seventy, with many people experiencing symptoms of arthritis during middle age, and sometimes even earlier. This is a particularly painful and debilitating condition that can significantly reduce the ability of an individual to go about their everyday routine. There are ways of managing this, however, and one exercise that can help the symptoms of arthritis is tai chi. Tai chi is a martial art that has therapeutic benefits, and which is suitable for all ages. 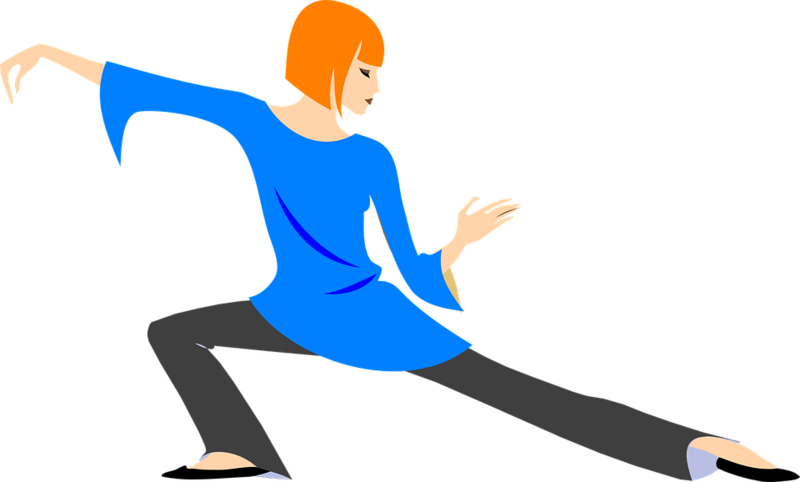 If you want to learn more about how tai chi can help your arthritis, then check out the following link, Dr Lam tai chi for arthritis, where you can learn how to correctly do tai chi from the comfort of your own home. This gentle martial art is excellent for people with joint conditions as it is non-strenuous and involves an element of meditation which benefits your mind as well as your body. Whether you are feeling more stressed than usual or suffering from anxiety or even depression, exercise is proven to boost your mood and your self-esteem by stimulating various chemicals in your brain such as endorphins, that reduce your perception of pain. Exercising will also allow you to sleep better, which will, in turn, improve your mood and overall wellbeing. The aptly named ‘runner’s high’ is a result of these very endorphins that are produced in large quantities after exercise, particularly after intense cardiovascular exercise. On the other end of the spectrum, yoga, which you can learn more about on yogajournal.com, is also an excellent form of exercise, which does not focus on the cardiovascular health of your body, but relaxes your mind through mindfulness and meditation. If you suffer from type 2 diabetes, you will know that keeping your blood sugar levels steady is key to controlling this illness. Raising your heart rate through exercise stabilizes your blood sugar levels and will help maintain your weight, which is one of the best ways to improve the symptoms of this condition. Consider joining a gym, although you will need to consult your doctor before beginning an exercise routine, and ask questions that relate to your condition, such as what type of exercise is best for you, and whether you need to eat at certain times before or after exercise. Easing into exercise, particularly if you are overweight, will ensure that you do not shock your body and quickly burn out. One of the easiest ways to incorporate exercise into your daily routine, without shocking your body, is to walk everywhere. Gentle forms of exercise are best for diabetes sufferers, especially at the beginning when you are not used to vigorous exercise. Another exercise that you can incorporate into your daily or weekly routine is swimming. This gentle form of cardio is low impact and targets every part of your body, making it excellent for overall toning.